Shopping for a mattress represents one of the most important purchases you will ever make. After all, we spend at least one-quarter of our lives sleeping. You want a mattress that offers enough support, without making it feel like you are sleeping on a stiff board. Too much softness can cause neck, back, and shoulder pain. Although we have different criteria for buying a mattress, some factors should find a place on everyone’s shopping list. 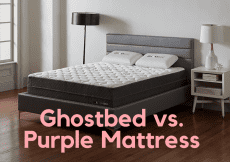 Before we dive into the comparison review for the Lull and Tuft and Needle mattresses, let’s examine some of the factors that determine whether you sleep well or toss and turn like you are on a ship at sea. You probably have created a list of mattress criteria, even if it is still in your head. Write down what is stored upstairs and prioritize the list to ensure you find the right mattress. Some sleepers like a mattress that hugs the body, while other sleepers prefer to not sink at all. Mattress reviewers use a scale that rates body support, or firmness, one a scale of 1to 10. One represents the softest rating, while 10 tops the list of firm mattresses. Most mattress manufacturers design mattresses to fall in the middle, somewhere between 4 and 7. Specialty mattresses designed to take care of specific body ailments, such as poor circulation, produce mattress firmness ratings outside of the norm. Remember that most of us assume different sleeping positions at night, which means what is firm towards the edge becomes softer as your sleeping position moves toward the middle of a mattress. Higher end mattress can set you back financially, unless you work out a deal that allows you to make monthly payments. However, price should not be the only determinant for buying a mattress. Yes, a few mattress brands offer affordable mattress that do not skimp on quality. Yet, the best mattresses start around $600. Experiencing pressure points that cause sharp neck and back is not worth saving a couple hundred bucks. Some foam mattresses leech chemicals that can prompt allergic reactions. Add to that the collection of dust mites and dog dander and what was once a pleasant sleeping experience has turn into fits of sneezing. One factor that contributes to the build-up of allergens is a large space that forms between a mattress and a bed board. Although manufacturers do a good job of presenting allergen information, you are better off reading online mattress reviews from consumers who relate their experiences. Mattress manufacturers offer warranties that vary in length from four to 20 years. The protections included in a warranty might cover leeched chemicals from a memory foam mattress or a support layer that fails to provide support. Even the most respected mattress manufacturers send out a lemon now and then, and you need to have the peace of mind that the manufacturer will take care of the problem, at no cost to you. Both Lull and Tuft and Needle tout the mattresses sold to consumers as “Premium” mattresses. What exactly does that mean? The new Lull mattress receives enthusiastically positive online consumer reviews, as well as strong reviews from bedding experts. Lull claims to make cooling and supportive comfort priorities. We tested out the new Lull mattress, and this is what we discovered. 10 inches of memory foam does not sound like a lot of foam. That is until you discover the 10 inches of foam includes three layers, with each layer providing a different sleeping purpose. Lull designed the 1.5-inch top layer of gel infused memory foam to create a cooling sensation on the body. After lying on the mattress for about two minutes, you should begin to feel the cool comfort. This feature is especially important for “hot” sleepers, the ones that generate considerable body heat throughout the night. 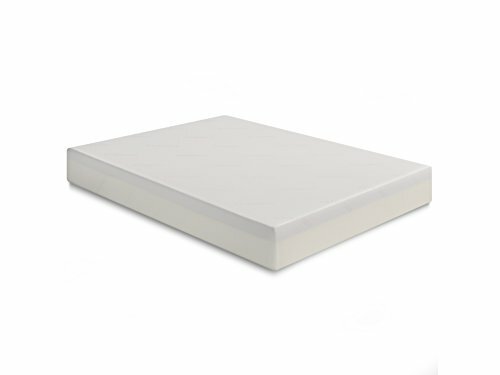 The middle layer consists of 1.5 inches of conventional memory foam that acts as the first support foam layer. This is the layer that prevents the top layer from sinking too much. Considered a transitional layer by Lull, the middle layer maintains correct spine alignment and it helps evenly distribute the weight. Reviewers say the combination of the first two layers accommodate the sleeping patterns of most people. Seven inches of dense foam makes the bottom layer the support base for the mattress. The bottom layer produces a strong foundation that handles the pressure placed on it by sleepers who carry above-average weights. The cover is the Robin to the memory foam layer’s Batman. However, the cover does not play second fiddle with the new Lull mattress. In fact, you could say the cover steals the show. The cover on the new Lull mattresses complements the cooling and breathability characteristics of the top gel infused memory foam layer. Lightweight polyester ensures the cover resists the types of rips and tears that send other covers to the trash bin. Pull hard on the cover and the fabric returns to its original position almost instantly. This means sleepers never have to encounter uncomfortable fabric bunching. With a firmness rating of 6.5, the new Lull mattress sits on the slightly firm part of the firmness scale. Lull designed the mattress to accommodate virtually every type of sleeper. Side and stomach sleepers should especially like the above average firmness of the mattress. Strong support complements the way the top layer hugs the body. The three foam layers work flawlessly together to create a subtle and balanced push-back feel that does not generate any irritating pressure points. Even extended time sleeping in the middle of the mattress feels comfortably firm. The top two foam layers prevent motion transfer, which makes the mattress ideal for couples. When one partner gets up in the middle of the night, the other partner should experience little, if any motion from the mattress. The foam layers do not immediately contract back into shape, but the response time is not long. Above average edge support appeals to sleepers who begin the night at the side of a mattress. The reasonable amount of bounce is much less than what you experience sleeping on a coil mattress. Lull bed mattresses range in price from $500 (For the latest prices and discounts, check here) for a twin to $900 (For the latest prices and discounts, check here) for a California King. Several online merchants offer downloadable coupons and o site discounts to help defray the cost for the line of Lull mattresses. Free shipping brings a Lull mattress to your home within two and seven days. The 10-year warranty is a bit above average for warranty length and it covers virtually every feature offered by Lull Mattresses. With a 100-night, money back guarantee trial period, you have plenty of time to decide if a Lull mattress is for you. 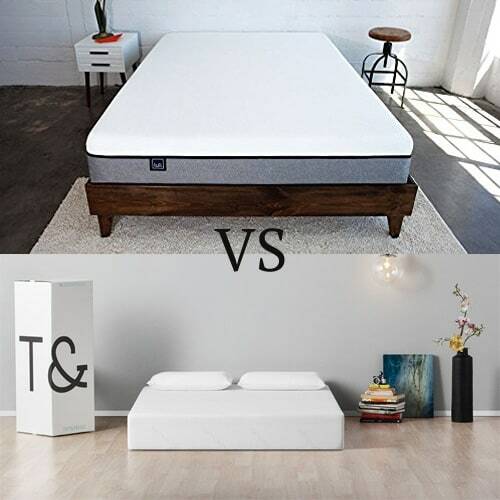 Tuft & Needle was a trend setter among mattress manufacturers until competitors such as Lull and Zinus not only caught up, but passed Tuft & Needle in terms of quality and cutting edge features. 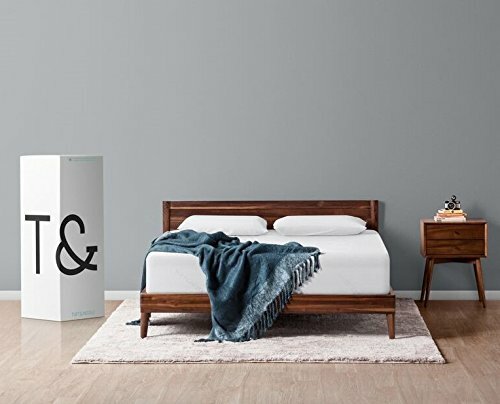 Still, Tuft & Needle continues to shake up the mattress industry by offering unique features, at least that is what the company says. Let’s see if that is true. Like Lull mattresses, Tuft & Needle construct its line of mattresses with 10 inches of foam. However, the 10 inches consists of two layers, not three layers as found with Lull mattresses. The difference in the number of layers is easy to feel the moment you lie down on one of the Tuft & Needle mattresses. The top poly foam layer measure three inches to provide comfort by cooling the body. The cooling effect is not as great as what you feel lying down on one of the Lull mattresses. The base foam layer measures seven inches to create support and define the shape of the top layer. We found the bottom layer lacking in support compared to other mattresses that possess 10 inches of memory foam. The lack of support might turn off sleepers who weigh more than average. Overall, we are disappointed in the two layers that fall short of ensuring a good night’s sleep. The thin and plain designed cover feels soft against the skin. In contrast to thicker covers, the thin design allows sleepers to have more contact with the top foam layer. The result is enhanced cooling of the skin, which should appeal to sleepers who generate a lot of body heat during slumber. However, thinner covers expose the body to more pressure points. We did not experience discomfort because of the thin cover, but some online reviews have written negative things about it. As with the line of Lull mattresses, Tuft and Needle mattresses rank 6.5 out of 10 on the firmness scale. Tuft & Needle reduced the firmness of its line of mattresses, which at one time ranked as high as 8 on the firmness scale. The company’s mattresses now appeal to a wider range of sleepers who spend the night in several different sleeping positions. The response of the poly foam mattresses is not instant, but the response is not slow as well. Tuft & Needle mattresses do not move us one way or the other in regards to feeling, except for the strange feeling in the middle of the mattress. The simply designed foam layers help the company sell its line of mattresses at lower price points, but we feel quality suffers because of the low price focus. Manufacturing the layers with poly foam instead of latex foam or memory foam makes the mattress feel inferior to the Lull line of mattresses. 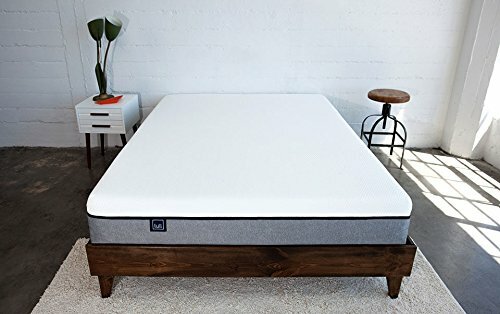 Tuft & Needle mattresses range in price from $400 (For the latest prices and discounts, check here) for a twin to $900 (For the latest prices and discounts, check here) for a California King. Free shipping within 1 to 5 days is a plus for Tuft & Needle. The 10-year warranty and 100-day trial period match what Lull offers for its mattresses. The Bottom Line: Should You Go with Tuft and Needle or Lull? Lull Mattress - Complements the cooling and breathability characteristics of the top gel infused memory foam layer. 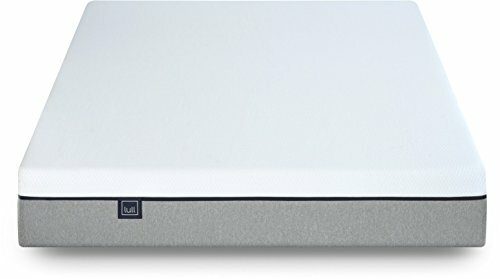 - 1.5-inch of conventional memory foam that acts as the first support layer. - Designed to accommodate virtually every type of sleeper. From $500 (For the latest prices and discounts, check here) for a twin to $900 (For the latest prices and discounts, check here) for a California King. Tuft & Needle - The thin and plain designed cover feels soft against the skin. - Thinner covers expose the body to more pressure points. - Top poly foam layer (3-inch) provides comfort by cooling the body. - Strange feeling in the middle of the mattress. - The lack of support might turn off sleepers who weigh more than average. From $400 (For the latest prices and discounts, check here) for a twin to $900 (For the latest prices and discounts, check here) for a California King. Although a little less pricey than the mattresses offer by Lull, Tuft & Needle mattresses are not worth the savings. My Bottom Line: Lull mattresses by far surpass Tuft & Needle mattresses in terms of comfort and support. The three layers of 10-inch memory foam is the biggest difference maker for Lull, and it should be the biggest difference maker for you. You can check out the latest pricing and promos on the Lull line here. 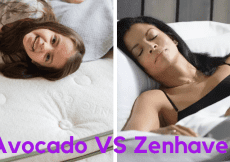 Saatva Mattress vs Loom and Leaf: Which Heavyweight Mattress is Best?